Check out this review of Scott Turansky’s Motivate Your Child. Parenting effectively is often a challenge. While it may be difficult to imagine, children are capable of displaying initiative and being internally motivated. Imagine a world where our children complete their chores and get ready for school without us having to hover over their every move. If this is a question you’re tired of hearing, then let’s work to improve internal motivation and your child’s ability to choose to do what’s right. Think of the time you’ll gain not having to nag and plead with your children. And so it came to me, by mail, the book you may not have known about but secretly had hoped held some answers. Motivate Your Child left a few impressions on me I’d like to share. Consider this, what drives you? And why do you do what you do? It’s an issue of heart. We are driven by the passions and stirrings within our hearts. That’s where we find our desires and values. Our motivation to get things done needs to come from inside of us not from Mom or Dad telling us what to do. These skills will take your child from relying on your every instruction to complete each task to listening more to their own internal voice, from your nagging of “Did you eat breakfast? Did you brush your teeth? Get your backpack,” into simply “Watch the clock.” Can you see the difference in saying “be careful” and “I like that you’re trying new things”? Listen to what you are repeating and notice if this phrase is uplifting and driven to help the child find his own solutions or if the phrases are demanding and diminishing a child’s ability to use his or her own conscious. Finally, here’s a skill challenge. It’s called “the blessing task”. This task helps build internal motivation by adding something to the to-do list for each family member to complete daily. Each morning allow your child to think of one thing that would add to family life. It might be helping a younger sibling, setting the table for dinner, or making someone a card. Regardless of the specific task, the intention should focus on finding a need that isn’t being met around the house and doing it without being asked. Your parenting potential is limitless when you focus your energies in the right direction. Give it a go and see what works with your family. Try presenting it to the family in a positive way such as “Let’s get together as a family and try out some new ideas”. Please don’t be shy; after you purchase your copy, let us know what you think of the numerous ideas contained in the book Motivate Your Child. Share your stories about how you have been developing strong moral and spiritual development in your children. This article was contributed by Holly Mitchell, MA, Licensed Professional Counselor in affiliation with ChangePoint Counseling in Forney, TX. This book was provided to me free of charge from Book Look Bloggers in exchange for my honest review. This book explores what the Bible says about the many ways we are to use our words and the times when we are to remain silent. Even though we know that Scripture has much to say about how we are—and are not—to use our words, this is still an immense issue, causing heartache and strain not only in family relationships, but also in friendships, work, and church settings. Karen Ehman is the communications coordinator for Proverbs 31 Ministries and a writer for their online daily devotions. Her numerous books include A Life That Says Welcome and Let. It. Go. She is a favorite presenter at women’s events and a frequent guest on national television and radio programs. Karen is also a contributor to Focus on the Family’s online magazine, Thriving Family. She lives with her family in central Michigan. Words CAN be used in wonderful ways, but sometimes we need to be reminded of that! Choosing our words wisely can create the relationships and atmosphere we all desire. 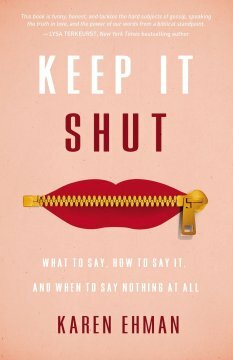 Keep It Shut offers a helpful tips and biblical knowledge to help Christians learn styles of speech that we often forget are tearing others down. Words do matter. While certainly this book would be quite a lot to cover, I want to focus on two specific parts I’d like to share- Chapter 4: Zip It and Pray and Chapter 6: Behind The Screen. Ehman notes that prayer must be an important component when considering censorship with others. Allowing ourselves to pray before we react can greatly influence our ability to show compassion and discernment. The author suggests several things to become a prayer warior: A) Pray Your To Do List, B) Be Intentional- make time for prayer, C) Read and Write, D) Make a Recording and Memorize, E) Identify and Apply the Bible’s Nonnegotiables. These things will make us more readily able to react and speak in ways that save us from disaster. In Chapter 6, Ehman focuses on controlling your digital tone- something very important to remember while online. Here are some Rules for the Cyberspace Playground that will get you “talking”: A) Pray Before You Post, B) Imagine the Recipient Sitting Next to You, C) Remember that When You’re Online, You’re Also on Stage, D) Ask Yourself If You’ve Earned the Right to Address the Subject at Hand- are you slinging an uninformed opinion, E) Ask Yourself If You Have a Close Enough Relationship with the Person to Warrant Offering Your Opinion, F) When You Do Speak, Let Your Speech Be Laced with Grace. I received this book free of charge in exchange for my review from Book Look Bloggers. In the end, it will be okay because God is always with us. Whether we like it or not, growing up brings change. For many children, this conjures fears that are sometimes real and sometimes imagined. How can kids learn that even when they face new and unfamiliar situations, they don’t have to be afraid? 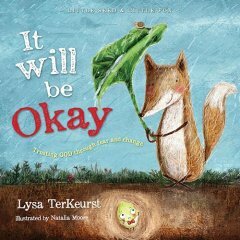 It Will Be Okay delivers reassurance and cuteness. This book will impact you like never before. If you were questioning on whether or not to purchase it, the answer is yes. It follows the story of a duo whom carry some fears and uncertainty, but they see the kindness of the Farmer and begin to reassure each other it will be okay. It is all too often we can’t see the beauty that is to come in the midst of strife and this book helps to teach reassurance and trust in God. I received this book free for my review at Booklookbloggers.com ! And the Farmer was watching over them even when they didn’t know it. Don’t be a statistic. Don’t be average. Let’s get you the marriage you’ve always wanted. Starting right now—from this day forward. This book is delivered to you by a committed couple. 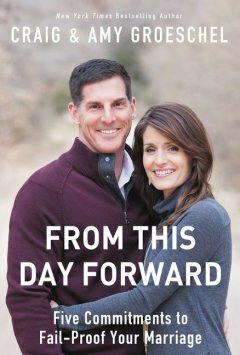 Although it is primarily written by Pastor Craig, this book includes Amy’s Angle on each chapter presented giving you insight from man and wife. Their book provides couples with practical and manageable advise to follow to lead a more fulfilling marriage. From This Day Forward is determined to help your marriage. This book began as a series of sermons Craig presented at LifeChurch.tv. Sometimes we have a tendency to hold on to the past bringing it in to the present. Anyone out there guilty of that? But the past is the past and you can’t change it Craig reminds us. God can and will change your future if you allow. God has what it takes and what you need in your marriage. Will you seek The One with your two? Craig Groeschel is the founding and senior pastor at LifeChurch.tv. Craig, his wife, and their six children live in Oklahoma where LifeChurch.tv began in 1996. He speaks frequently at conferences and has written several books. Jesus gets attention not with exclamation marks, but with question marks. Jesus was always asking questions. Whether with a small group or large crowd, Jesus opened hearts and minds by asking questions that grasped attention and made one think. In The Jesus Code, author O. S. Hawkins poses fifty-two thought-provoking questions found throughout the Bible that believers should be able to answer as they grow in their faith and share their faith with others. Each question features a devotional thought to help readers find answers and promote further reflection. This 52 question devotional provides a way to learn more about your faith and God’s will for your life. I received The Jesus Code through booklookbloggers. All royalties go toward Mission:Dignity. Mission:Dignity is an organization that supports retired pastors and their spouses living near the poverty level. If you are interested in studying more about Jesus this book can be helpful along that path. The Jesus Code is interactive with the reader. Chapter 6 asks a tough question many are asking today “If the Lord is with us, why then has all this happened to us?” Many around us are suffering. We, at times, are suffering. “When discouragement comes, it has a dastardly way of diverting our focus from God and His blessings to the circumstances and situations around us.” The book explains that God does not leave us, this too shall pass. The devotional leads to greater understanding and ability to feel confident as you share your faith with others. Hawkins’ book can be a great way to open up a discussion with others or make a great gift for a loved one. 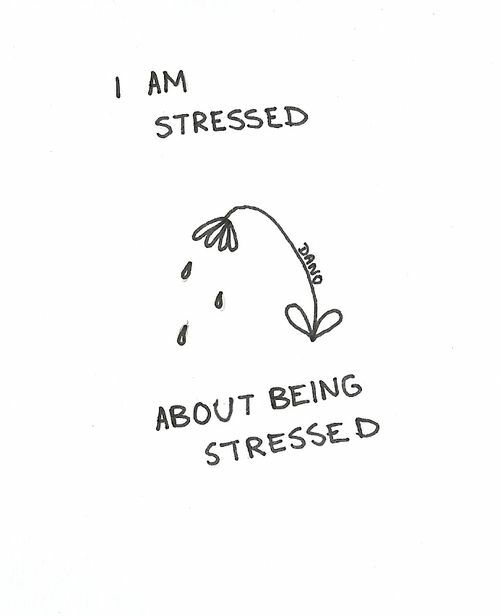 Is stress causing your child to feel overwhelmed? Check out this review of Susan Kaiser Greenland’s The Mindful Child. What is Mindfulness: Mindfulness can be described as paying attention to the moment. When I stop to take a break and become aware of my self, my thoughts, my feelings, and my surroundings, I am being mindful. Wikipedia describes mindfulness as a meditative practice that has gained worldwide popularity as a distinctive method to handle emotions. It is when we purposely bring awareness to our experience. Mindfulness can help your family to not get too caught up in the past or future. It switches our attention to what’s happening in the present helping to reduce emotional reactions such as tantrums or panic. Learning mindfulness can help you or your child gain peacefulness and control as opposed to feeling stressed out. Review of The Mindful Child: This book offers practical and applicable skills for parents to teach mindfulness to their children. It begins with learning breathing techniques that can be taught to your child through activities and scripts you read aloud. After mastering breathing techniques, Greenland’s book helps you practice direct, focused attention which is especially useful for an overactive mind. Further, the book is a tool to gain compassion and control over our emotions. For example, in learning to choose our emotions, it includes a quick story about a farmer whose events are not predictable so overreacting would not help his situation at all. Lots of times we are causing our own distress due to our reaction of an event and it doesn’t always fit what happened. The Mindful Child can help your family learn to let go, use your imagination, and practice as you teach! Practice Breathing: Ask your child to get comfortable in a sitting position and to close their eyes. To draw their attention to their breathing by putting their hand on their stomach as they feel it gently rise and fall with every breath. After completing several cycles, guide their attention to any thoughts or feelings that come up. Ask your child to visualize letting their thoughts or feelings go and retain focus back to breathing. Continue and repeat as many times as feels appropriate. For another way to practice deep breathing this summer, have your child be aware of their breathing rhythm while blowing a pinwheel. The Best Part: My favorite application of The Mindful Child includes “A Radical Act of Kindness” script that allows children to take a moment to be compassionate and kind towards themselves and let go of worries or struggles. Instead, allow room to embrace and be conscious of your inner beauty. Our acceptance of our passions and abilities allow us to better contribute and find purpose. Put It Into Action: Check out these resources to practice your new skills! 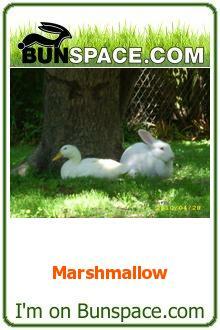 This link will take you to a Friendly Wishes visualization useful for children ages 6-10. Then, try Stargazing! More About The Author: Susan Kaiser Greenland began learning and using mindfulness practices after her husband was diagnosed with stage four lymphoma. 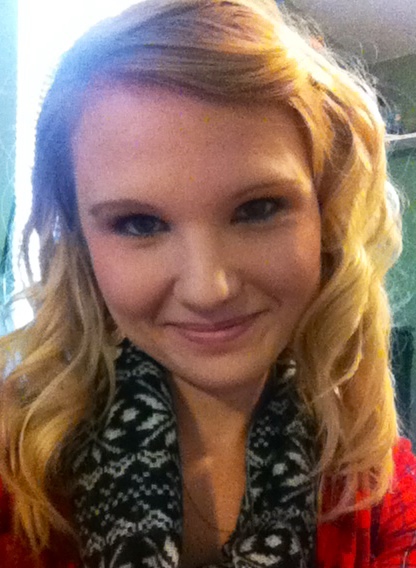 She developed the Inner Kids Mindful Awareness Program for children and families as a result of her passion about using breathing and mindfulness techniques. This article was contributed by Holly Mitchell, MA, Licensed Professional Counselor in affiliation with ChangePoint Counseling in Forney, Tx.